Your day-by-day itinerary now includes Sovereign Hill. Your cultural itinerary includes sights like Melbourne Central and Collins St/Swanston St. Head to Degraves Street and The Junk Companyfor plenty of shopping. 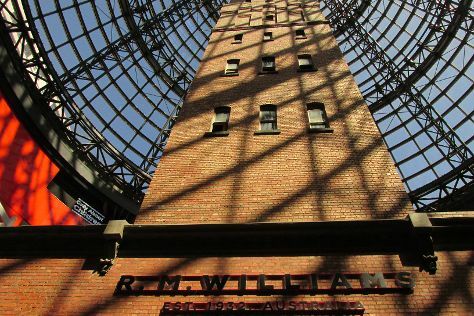 There's still lots to do: examine the collection at Melbourne Museum, take in panoramic vistas at Eureka Skydeck 88, let little ones run wild at Royal Park Nature Play Playground, and contemplate the long history of Old Melbourne Gaol. To see maps, other places to visit, and other tourist information, use the Melbourne trip planner. September in Melbourne sees daily highs of 20°C and lows of 7°C at night. You'll set off for home on the 17th (Tue).